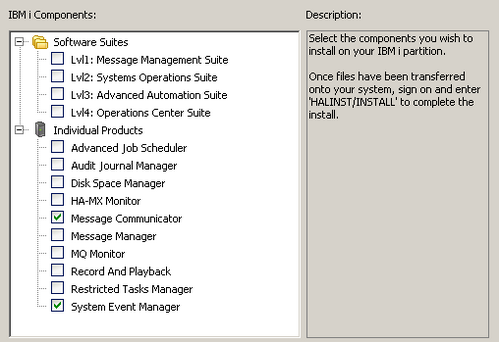 This version for IBM i requires Document Management System GUI version 2013.326 (22 Nov 2013) or later. During the installation process, you will need to select the following options (see image below) in the setup procedure to install the System Event Manager component and the Message Communicator component to support SMS actions. If you are new customer to Halcyon, a request will be sent to us to provide you with a product key. This product key is required to activate the software and will be sent to you by email. If you are upgrading, you do not require a product key.